Wanderlust Blog – Why we chose Concept - Concept Caravans | Innovative and stylish Australian made caravans. 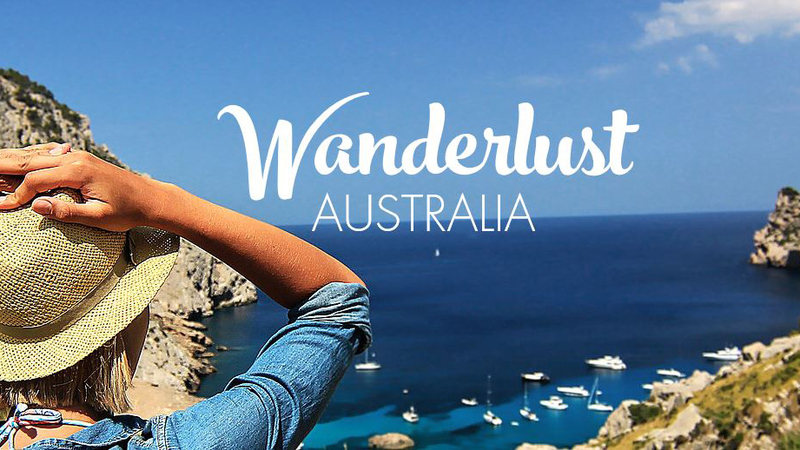 Wanderlust Australia wrote the following blog piece about their Concept Caravan. As we travel this wide brown land, we are often asked about our van. Questions like; why did you choose this brand? Where is it manufactured? Is it a good layout? are often the main Q’s asked by fellow travellers. In all honesty, what sold us on this van was the quality of manufacture, the finish inside and the layout. 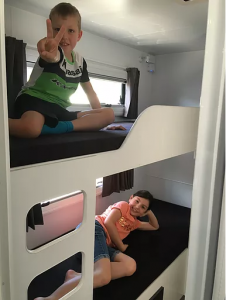 There are five separate zones within our van, including: Parents room, Kids dual bunks, fully ensuited bathroom, lounge and kitchen. The kitchen is my favourite zone within the van (apart from my bed, but that’s another story). Everything is literally within arms reach, easy to use and HEAPS of storage is available for all the kitchen appliances, crockery and pantry items. One other area we are super happy with is the bathroom – like, it’s literally a bathroom. A real bathroom. We have a full-size shower, separate china loo (which rotates! Yes it spins!) and vanity basin with a cupboard, as well as an overhead cupboard for storage. Can you tell I love all the storage???? Would I change anything about it? Yes, we have picked some things that we could have done differently or gone without. But overall, we are extremely happy with the performance of our van, given we have travelled some 8000km in 6 months. 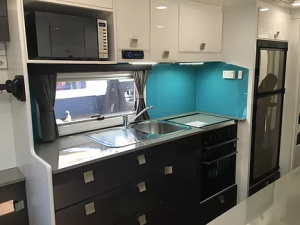 To give you a peek into the world of caravan manufacture, Concept Caravans have kindly shared their time-lapse video of the construction of one of their vans. From this, you will see why we chose Concept Caravans over all other manufactures – transparency, quality build and a fantastic finish! *Please Note; We have NOT been endorsed by Concept Caravans for this blog. We thoroughly believe in this fantastic Australian made & owned product and highly recommend it to people in the market to purchase a new van. Read the blog post here.